Need to save some moolah? Check out the best cheap eats Newtown has to offer. King Street in Newtown is called “Eat Street” for a reason. Restaurants, cafes and bars as far as the eye can see, all celebrating different cultures, cuisines and lifestyles. Unfortunately a night out in Newtown can often lighten your wallet. But fear not! If you need to save some money but want to eat like a king on King Street, you’ll love our guide on the best cheap eats Newtown has to offer, all for less than $15. If you come to Golden Lotus at peak time without a booking then you should expect to line the street. However, the entirely vegan menu is worth the wait. Be you a vegan or not, the aromas and breath of the Golden Lotus menu will tantalise. BYO bottle of wine and hook into selection of authentic Vietnamese dishes finished with fake meat. The banquet for $27 is a smorgasbord of belt-unbuckling perfection. 341-343 King Street, Newtown. Open: Thursday-Sunday 12am-3pm, Monday-Sunday 5.30pm-10.30pm. Being vegan or vegetarian can make it difficult to find dining options, especially when you’re looking to save a few bucks. Luckily, Newtown has got you covered with lots of meat-free options, some of which are surprisingly cheap. 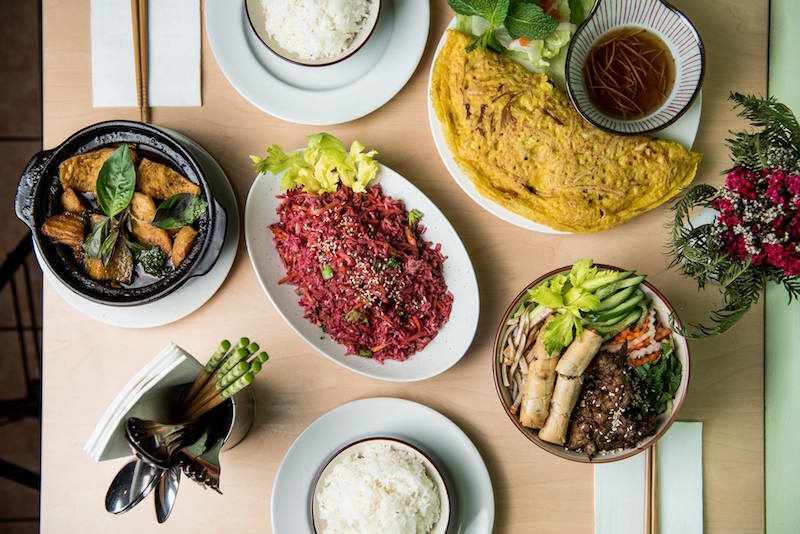 Vina, a popular Vietnamese vegan restaurant doesn’t scrimp on flavour, but does on price. They specialise in mock-meat lunches and dinners that are also great value with meals like 4 steamed curry buns for just $6.00, or a mock beef pho for just $12. There is no place quite like Lentil As Anything. With a ‘pay as you feel’ mentality, it shows that food can be so much more than just how much you have to pay for it. 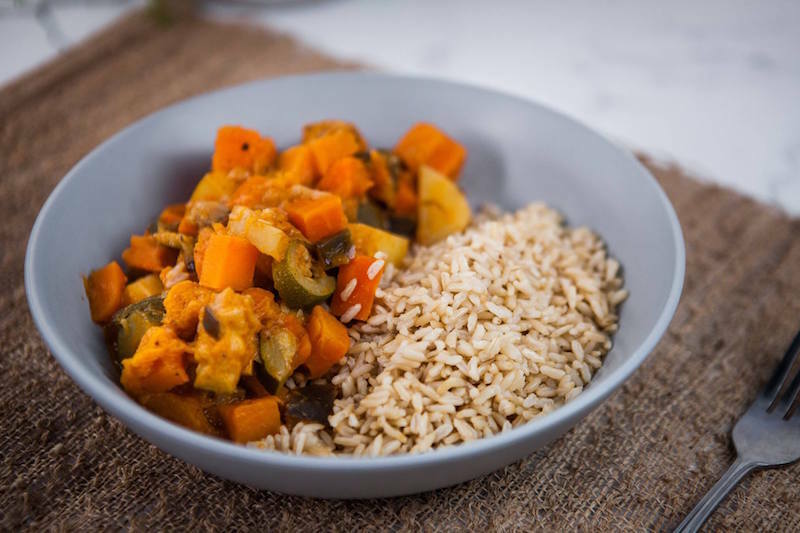 Completely prepared by volunteers, this vegan joint serves warm comfort food from hot curries, to stir fries to breakfast nachos to healthy options like salads and soups. A place full of love, and a bit lighter on the wallet. A favourite in Newtown, you may find it difficult to grab a table at Black Star Pastry but it will be worth the wait. A great place for some wholesome sangas, pies, pastries and their Insta-famous cakes and slices. Grab a mouthwatering savoury pie or perhaps their unusual eggplant and katsu brioche toastie with miso aioli for $8. Or maybe just pop in for an afternoon treat with their cakes and slices ranging from $4.50 – $7.50. The popular strawberry watermelon cake is a must. Parliament on King is one of the most philanthropic cheap eats Newtown has to offer. It supports refugees and gives them the opportunity to learn about the hospitality trade, in a space that was once the owners’ living room. You will certainly feel some nostalgia as you peruse their menu, with exciting, old school options like fairy bread (which you can add Nutella to for just 50 extra cents). Or their humble jaffles for just $5.50, with delicious fillings like tomato, pesto and beans. Maltese is not a cuisine you see often around Sydney but the food is as good as it is rare. Newtown’s best kept secret, Pastizzi Cafe serves up homemade pastas, veal escallops and more. But it’s their namesake, the pastizzi that everyone knows them for; little parcels of puff pastry, typically filled with ricotta or mushy peas. For just $2.70, you can get an original pastizzi, with a range of sweet and savoury options, or for a bit extra, get one from their gourmet range with fillings like beef and dark ale for just $4. You won’t be able to stop at one. Great Aunty Three is technically in Enmore but it’s just down the road from Eat Street and way too good to leave off the list! 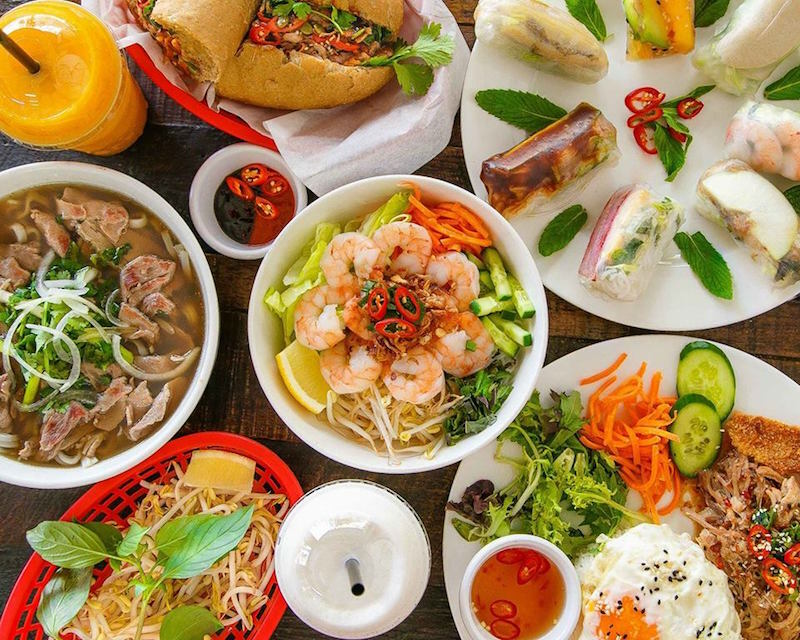 Healthy, fresh and delicious Vietnamese food is what they serve here, with hot, steaming bowls of pho, heaped noodle salads for $10 and banh mi and rice paper rolls for $7.50. 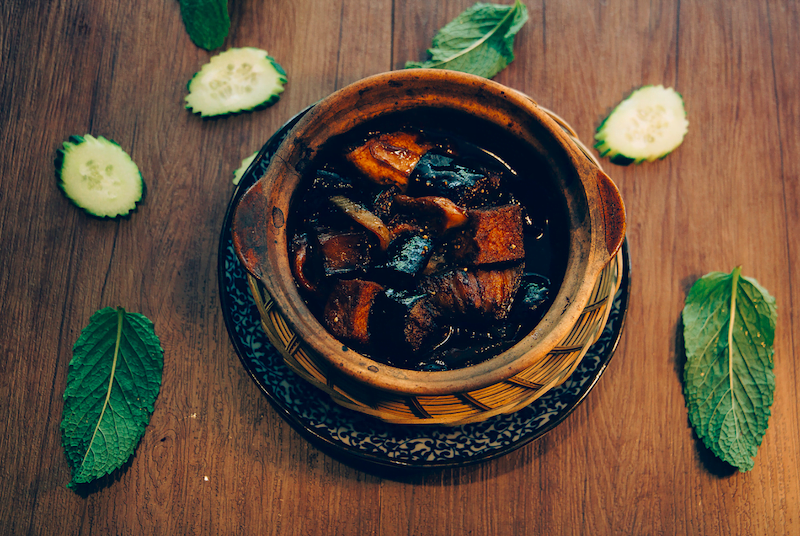 Pair with a sweet Vietnamese coffee for an extra $4.50 and you’re set for a great time with your favourite aunty. What on earth is a momo you ask? Put simply, these dumplings will delight. Serving savoury and sweet, Little Momo sets out to ensure that everyones momo experience is the best it can be. 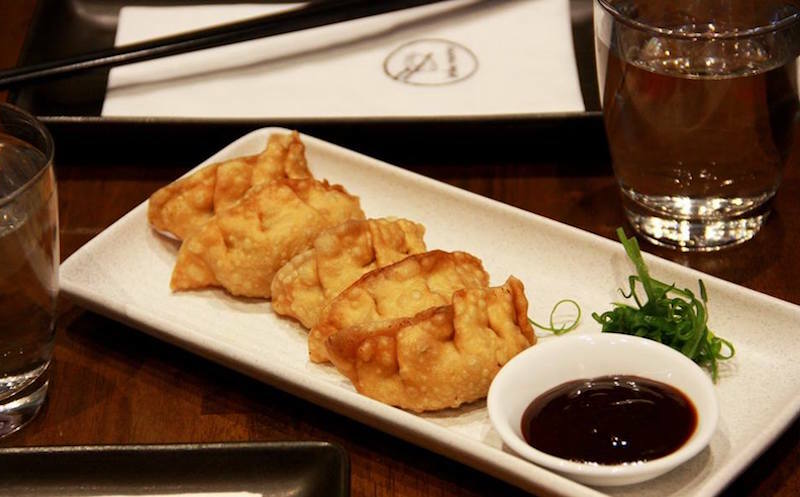 With a headchef personally curating your dumpling desires to a matching sauce, you won’t be disappointed. Starting from $7 for a fresh plater of momos, you can upgrade to Bigger Momos or Momo in Soup each for $14.90. Shop 2, 398-402 King Street, Newtown. Open: Monday-Thursday: 5.30pm-10pm, Friday: 5.30pm-10.30pm, Saturday- Sunday 5pm-10.30pm. With so many Thai restaurants in Newtown, it can be hard to choose where to go for dinner. But Thai La-Ong serves the same good food, with most meals priced under $15. With Thai classics like everyone’s favourite pad thai for as low as $9.50, and the decadent gang massaman for only $12.50, definitely make your next Thai trip to this fun and lively joint. As far as cheap eats Newtown style goes it’s one of our favourites. Drawing from the time-honoured traditions from some of the east’s oft forgotten cuisines, Kammadhenu is a suitable venue for an adventurous foodie. 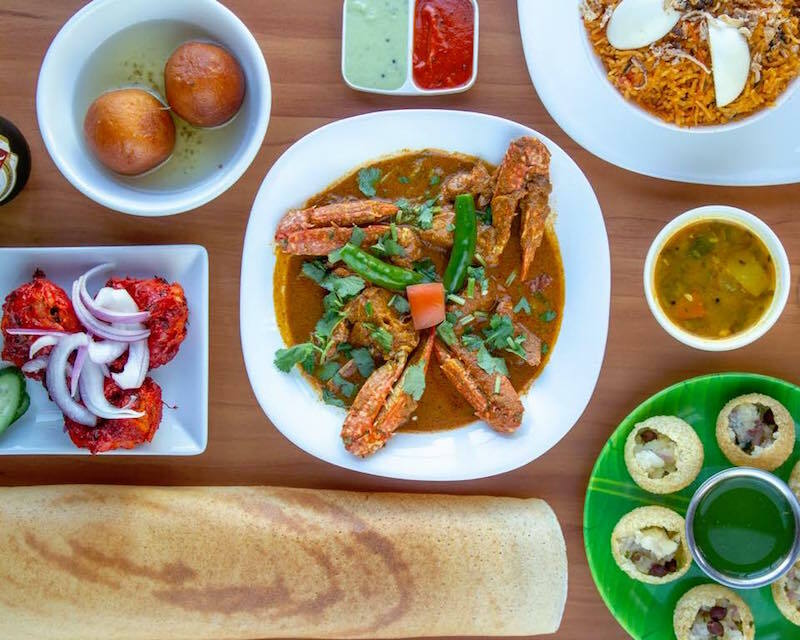 Pouring the aromas of Sri Lanka, India and Malaysia into one pot, this eatery is a smorgasbord of spice. Looks are deceiving, as you will fall in foodie love after a trial of a pancake hopper (starting from $4) or splurging on a biryani (starting at $11.90). 171 King Street, Newtown, New South Wales. Open: Monday-Friday 11am-3pm, 5pm,9.30pm, Saturday-Sunday 11am-10pm. You don’t have to fork out too much to get some mind-blowing Chinese food. Loosen your belt buckle and indulge in a Chinese banquet for less at Golden Wheat Chinese Restaurant on King Street. For just $10 you’ll get ten dumplings, great to share (or have all on your own) with the choice from chives and pork, mushroom or vegetarian. Most main dishes are also cheap as chips, with bowls of sichuan dan dan noodles for just $11.80 and much more. Eat like royalty as you sit down at the Sultan’s Table down on Enmore Road. Here, it’s all about authentic Turkish cuisine at it’s finest, with dishes that certainly beat your cheap eats Newtown 2am kebab fix. We love the sound of their list of specials, all priced under $15 like their Guavec, seasoned vegetables, diced lamb cooked in a traditional clay pot with a special sauce for only $13.50, or perhaps their Manti (Lebanese ravioli) served with a yoghurt and tomato based sauce for $15. Down King Street, Newtown plays host to some of the best fair-dinkum pubs in Sydney and you can always count on them for a good feed. At the Newtown Hotel’s restaurant “The Animal,” there’s a special every Friday for you to don the napkin around your neck and chow down on 1 kilo of chicken wings for just $15. And get schnit-faced, and enjoy a enormous chicken schitzel with a beer for just $12. It’s definitely one of the more popular cheap eats Newtown folk and vistors like to enjoy. There’s no night at The Marly that is without some good value dinner options. Down a few pale ales and enjoy one of their $12 specials, available at different times of the week. Nacho Mondays is pulled pork, chilli con carne or lentil dhal nachos, Tuesday is dedicated to poutine, with the options of original, cajun with bacon, pizza supreme and Wednesdays is the burger night. While it might not be a pub, Newtown Pies sure has your post drinking feed sorted. Open until the early hours the morning from Wednesday to Saturday, this bakery has your pastry cravings amply sorted. Fuel up on a classic pie ($5) or beef it up with a Combo ($11.90) meal including any pie, chips and a 600ml bottle of Coca-Cola. Branch out with something different, including the Breakfast Pie ($5) or the Pumpkin, Cheese and Coriander ($6.50). 283 King Street, Newtown. Open: Monday-Tuesday 8am-8pm, Wednesday-Thursday 8am-2am, Friday 8am-3am, Saturday 8am-4am, Sunday 9am-8pm. Want more cheap eats? Check out our Paddington Cheap Eats Guide, A Week Of Cheap Eats In Surry Hills & Guide to Bondi Cheap Eats.